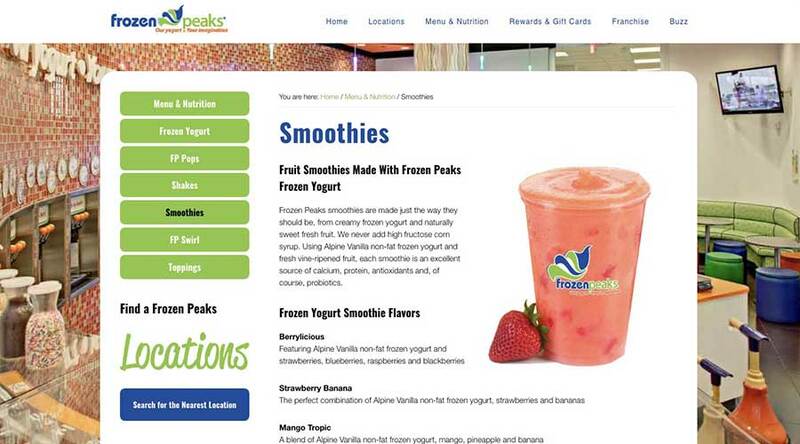 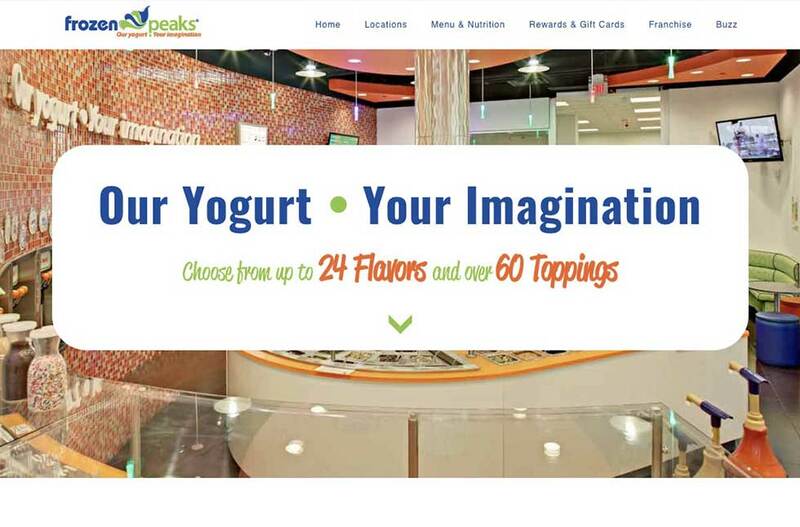 The website for Frozen Peaks, a frozen yogurt chain in New Jersey, had to feel as clean, bright and fun as the shops themselves. 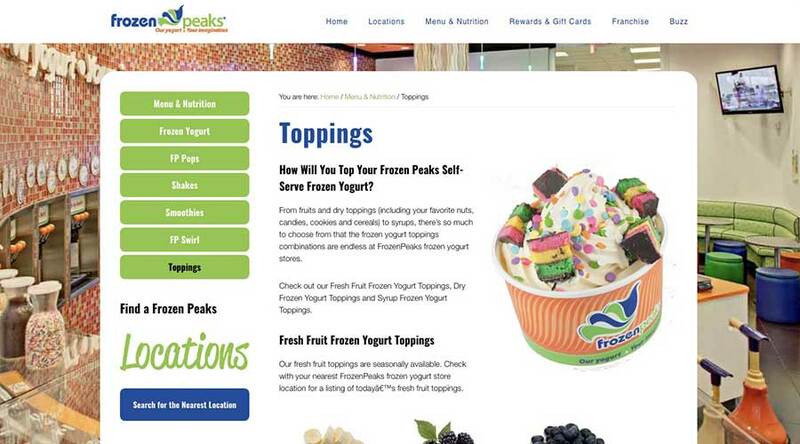 We were also tasked with organizing quite a bit of information—a rotating array of yogurt flavors with nutrition information, menu items, franchise information and multiple locations. 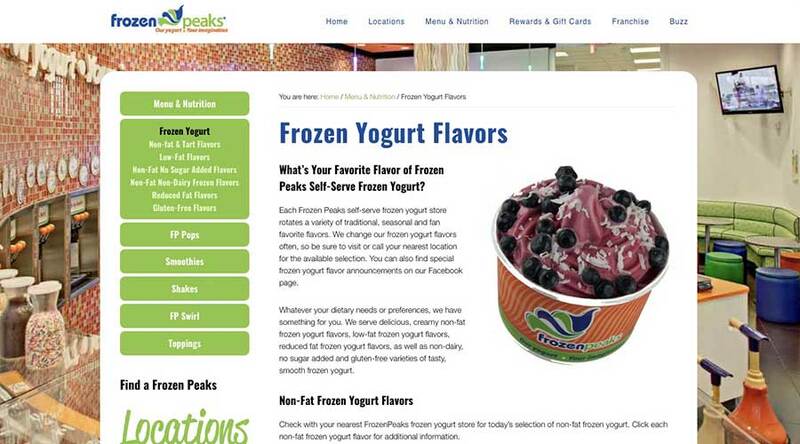 The result is the kind of site that makes you want to get in the car and go get some frozen yogurt. 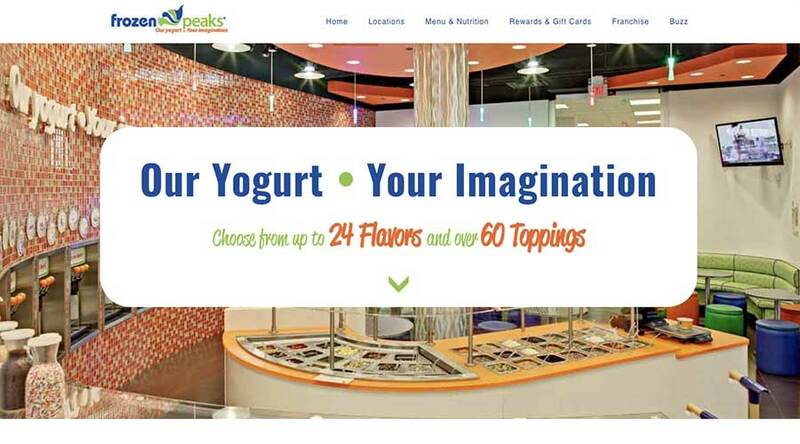 We were working with an existing logo design, so the challenge was to pull in the right elements, show off the color palette and select fonts that would work well on the web while staying on brand. 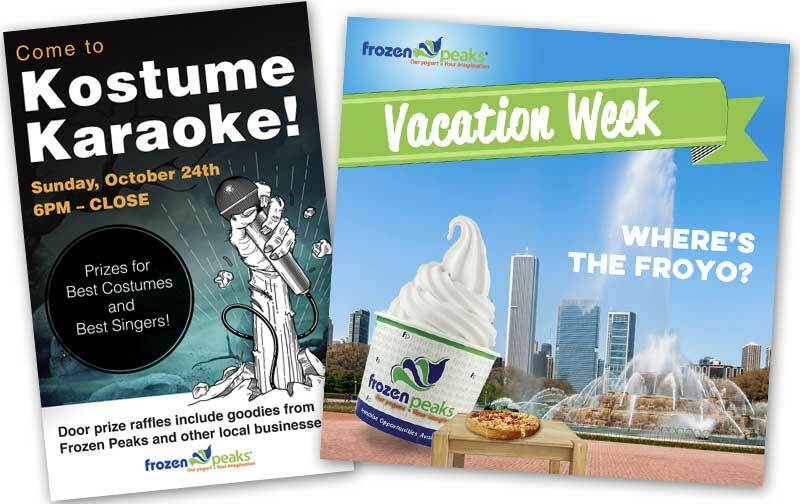 We have created social media graphics, print designs, etc. 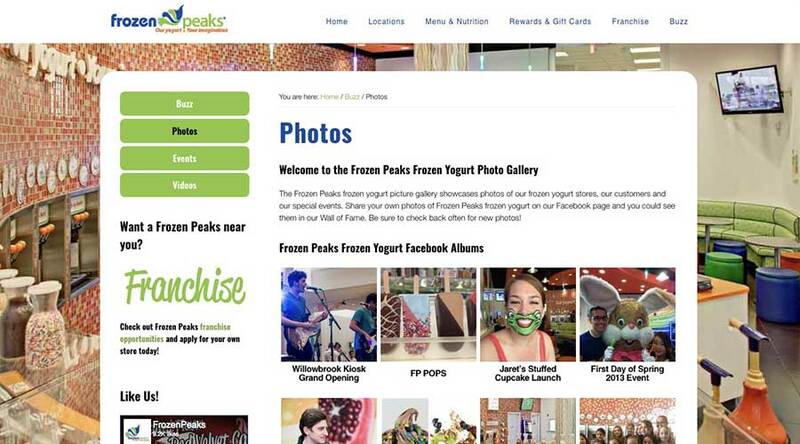 for the Frozen Peaks brand. 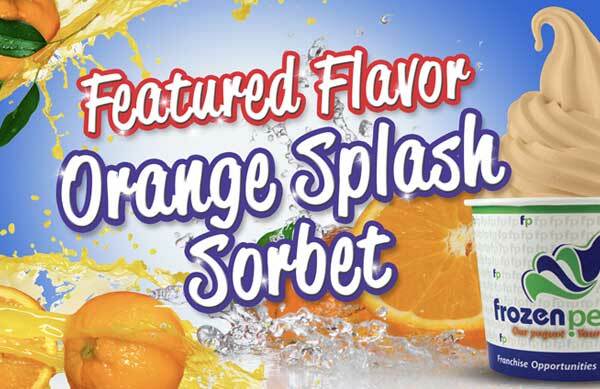 There is a “Featured Flavor” every month, which is shown on digital signs in the shops, as well as on the website.